You already know that Google Analytics is incredibly powerful and full of features you barely understand. Heck, I’m not entirely convinced any one person at Google fully understands their system, let alone most marketers. There’s just so much to it, so much you can do, that the implications are still being discovered today. You can track all sorts of conversions through Google Analytics, but the exact selection depends on the platforms, the devices, and the systems you’re using. For example, here’s a whole set of instructions for using Google Analytics to set up conversion tracking for mobile apps on a server-to-server basis. There are related instructions for in-app remarketing, iOS and Android SDK and server-to-server integration, and tracking data from third party apps. That’s just one fact of what you can do. No matter what you’re doing, before you can accurately track conversions, you need to set up goals. I don’t mean nebulous goals, like “I’d like to grow my business by the end of the year.” That’s not something you can plug into Google and get tracked, at least not yet. Google isn’t quite that smart just yet. By goals, I mean the specific metrics you want to track within the Analytics system. A goal might be a product sale, or an email opt-in, or a click to a specific page. You need to determine the nebulous goals, like growing your business, and then determine what specifically that entails. You might decide that you want to track product sales, user registrations, ebook downloads and newsletter signups. To do so, you go into your Google Analytics dashboard and navigate to the goals section. Create new goals to measure each metric. The best part about goals in Google Analytics is that they’re more than just counters. I mean, any good ecommerce platform is going to give you a readout of the number of products you sold in a give time. You might even be able to see specific data about the profit margins for each product and how much you’ve made over the same period. With Google Analytics, though, you get to see the pathways users took to get to that action. Did they click your ad, click the product, and buy it on the spot? Did they click an ad, browse your blog, visit your storefront, go to Facebook, come back through a different ad, and finally decide to buy? These are the insights you can gather. There are two major issues with AdWords conversion tracking, both stemming from the way Google identifies, parses and tracks data. The first is the multiple conversion track. This typically comes up when you import goals from a third party system or a backup. 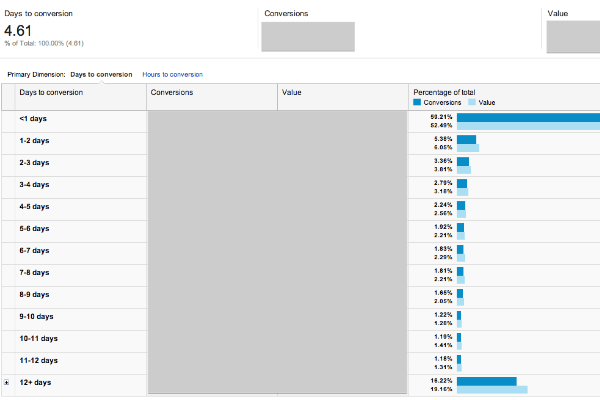 Using AdWords goals and other analytics goals simultaneously can lead to the same conversion showing up twice. This will show a disparity between your actual data and the tracked data. On the plus side, it’s easy to fix; just remove duplicate goals from reporting. The other issue is the time delay. Goal completion doesn’t show up in Analytics until as long as 72 hours after it happens. Your data from week to week will be highly accurate, but from day to day, it’s much less accurate. Sometimes your data will show up earlier, as soon as 12-24 hours, but that’s a little less common. Here’s something you might not have seen before. 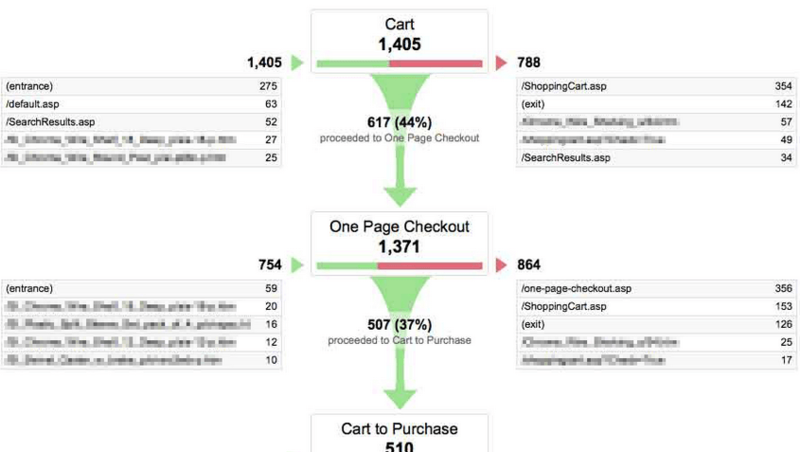 Using Google Analytics, you can set up a multi-step conversion process, or sales funnel. Track each of the goals along the way. For example, you can set up a funnel that leads from an AdWords ad to a landing page, to a product page, to a billing page, to a confirmation page. The first step to creating the funnel visualization is to set up each of those goals. Set up goal tracking for clicks to your AdWords ad, clicks from that landing page to your product page, clicks from your product page to your billing page, and clicks form that page to the confirmation page. Once you have each of the goals set up, you can create an overarching goal with multiple steps. The goal would involve each of the other goal pages being visited. This is a Destination Goal, with numerous URLs listed. The primary use of this visualization is a quick and easy way to see which steps of your funnel are pushing the most people through, and which steps are serving as roadblocks and keeping people out of the deeper levels of the funnel. You might see that you have a 100% conversion rate from your billing page to your confirmation page, meaning you have no abandoned carts. That’s great, and it means you can leave that aspect of your conversion process alone. If you scroll up and notice that you have a meager 12% conversion rate from your landing page to your product page, you know that your landing page is terrible and needs to be replaced. Google Analytics works using first-party tracking information, which means you have issues when it comes to certain tracking scenarios. For example, if you’re selling a product through Amazon – quite common for ebooks – your Analytics tracking blacks out when the buyer leaves your domain. You need to specifically set up cross-domain tracking. 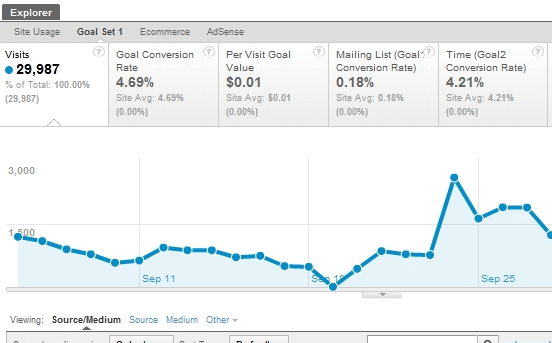 This is all just a taste of what you can do with the more advanced features in Google Analytics. Dig in and experiment, you might be surprised at what you can find.